Sales and marketing personnel are feeling the pressure to do more with less. The proliferation of information in the marketplace has changed the way people buy products. This "new normal" of real-time buyer-driven world calls for even greater alignment between sales and marketing in order to stay competitive. 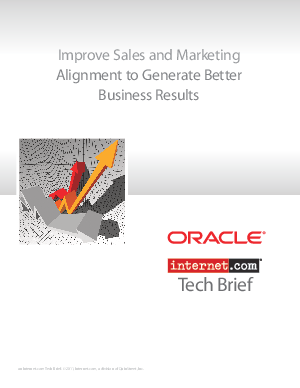 In this white paper, Internet.com explores how businesses can leverage the latest integrated sales and marketing solutions improve the effectiveness of both teams in an increasingly challenging environment.